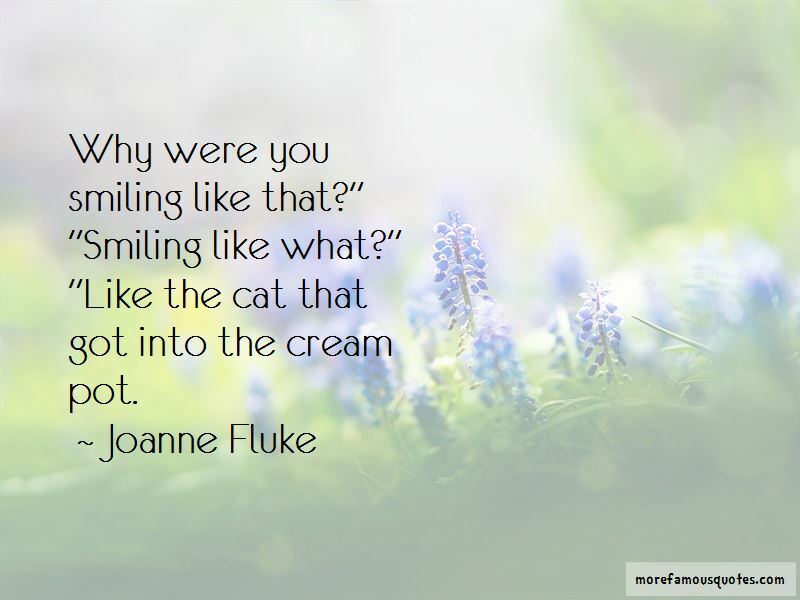 Enjoy the top 12 famous quotes, sayings and quotations by Joanne Fluke. 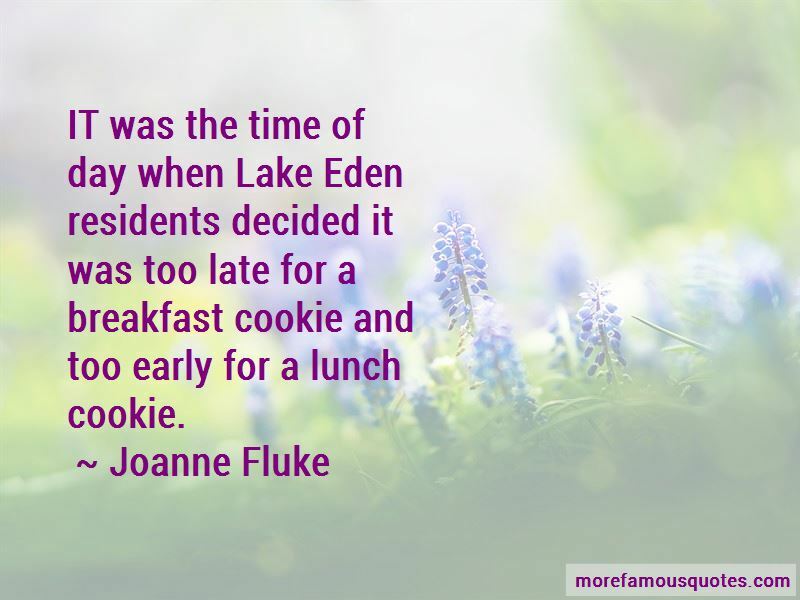 IT was the time of day when Lake Eden residents decided it was too late for a breakfast cookie and too early for a lunch cookie. Investigating is a process of elimination. You have to explore all the possibilities, and whatever's left, no matter how implausible, has got to be it. 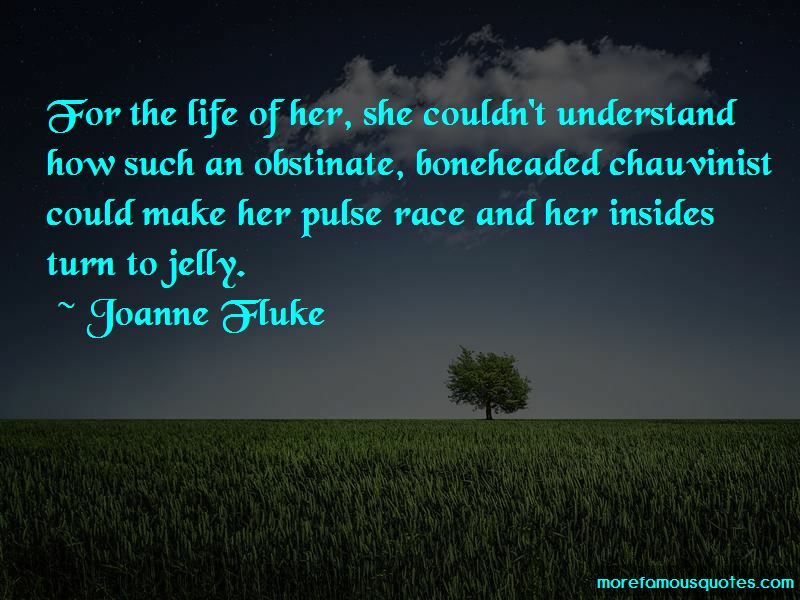 Want to see more pictures of Joanne Fluke quotes? 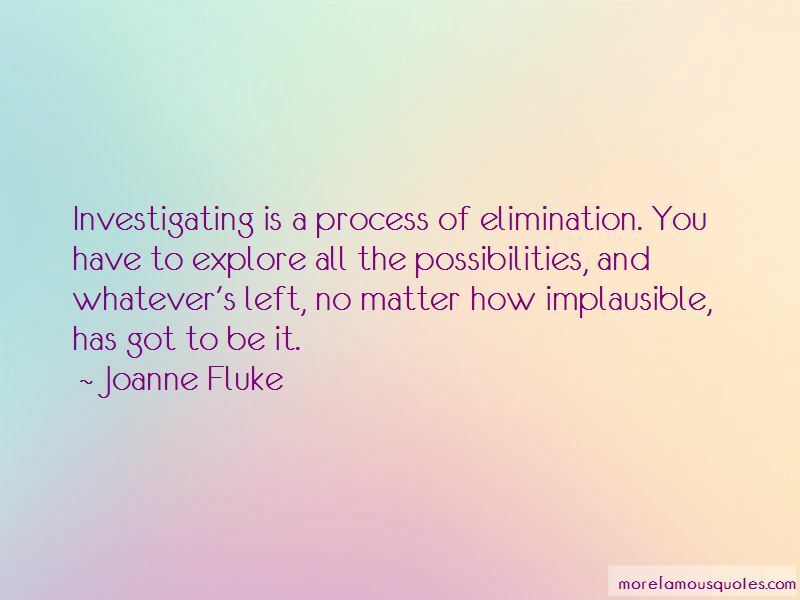 Click on image of Joanne Fluke quotes to view full size.